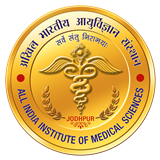 All India Institute of Medical Sciences, Jodhpur (Rajasthan) is inviting application for the post of Office Assistant (NS). Last date of application is 10th July 2017. Total numbers of vacancies are 44. Candidates, Graduate in recognized University or its equivalent and having Proficiency in Computers knowledge may apply for this post. Aspirants can download AIIMS Syllabus form this site. Previous question papers, model question papers and sample question papers will be available here very soon. So, keep visiting this site for preparation. It would include questions of both verbal and non-verbal type. This component may include questions on analogies, similarities and differences, space visualization, spatial orientation, problem solving, analysis, judgement, decision making, visual memory, discrimination, observation, relationship concepts, arithmetical reasoning and figural classification, arithmetic number series, non-verbal series, coding and decoding, statement conclusion, syllogistic reasoning etc. the topics are, Semantic Analogy, Symbolic/Number Analogy, Figural Analogy, Semantic Classification, Symbolic/Number Classification, Figural Classification, Semantic Series, Number Series, Figural Series, Problem Solving, Word Building, coding & de-coding, Numerical Operations, symbolic Operations, Trends, Space Orientation, Space Visualization, Venn Diagrams, Drawing inferences, Punched hole/pattern-folding & unfolding, Figural Pattern – folding and completion, indexing, Address matching, Date & city matching, Classification of centre codes/roll numbers, Small & Capital letters/numbers coding, decoding and classification, Embedded Figures, Critical thing, Emotional Intelligence, Social Intelligence, Other sub-topics, if any. Questions in this component will be aimed at testing the candidate's general awareness of the environment around him and its application to society. Questions will also be designed to test knowledge of current events and of such matters of every day observations and experience in their scientific aspect as may be expected of any educated person. The test will also include questions relating to India and its neighboring countries especially pertaining History, Culture, Geography, Economic Scene, General Policy & Scientific Research. The questions will be designed to test the ability of appropriate use of numbers and number sense of the candidate. The scope of the test will be computation of whole numbers, decimals, fractions and relationships between numbers, Percentage. 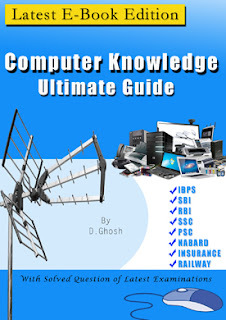 Ration & Proportion, Square roots, Averages, Interest, Profit and Loss, Discount, Partnership Business, Mixture and Allegation, Time and distance, Time & Work, Basic algebraic identities of School Algebra & Elementary surds, Graphs of Linear Equations, Triangle and its various kinds of centres, Congruence and similarity of triangles, Circle and its chords, tangents, angles subtended by chords of a circle common tangents to two or more circles, Triangle, Quadrilaterals, Regular Polygons, Circle, Right Prism, Right Circular Cone, Right Circular Cylinder, Sphere, Hemispheres, Rectangular Parallelepiped, Regular Right Pyramid with triangular or square base, Trigonometric ration, Degree and Radian Measures, Standard Identities, Complementary angles, Heights and Distances, Histogram, Frequency, polygon, Bar diagram & Pie chart. Candidates who are applying for AIIMS Jodhpur, Rajasthan Office Assistant jobs are searching for Syllabus for their preparation. For that purpose, we are giving syllabus and written exam question paper pattern of AIIMS Jodhpur, Rajasthan Exam. Applicants can download syllabus along with exam pattern from our site. 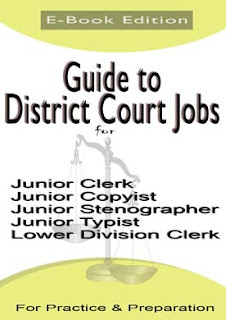 Syllabus is the very important for the candidates who are going to write these Office Assistant jobs. Hence the people can start their practice by downloading the proper details of All India Institute of Medical Sciences syllabus. We are providing All India Institute of Medical Sciences jobs test pattern details to get a brief idea about AIIMS Jodhpur, Rajasthan exam pattern. Aspirants can download pdf below previous questions papers. Previous year question papers are solved with answer. We prepare some model question papers and some sample questions papers for your preparation. Aspirants always search Previous Question Papers before appearing the examination. The candidates who are applying for the Office Assistant Jobs can start your preparation for the Written Test going to organize previous question papers. Those can check this page for the AIIMS Jodhpur, Rajasthan Office Assistant exam materials. Aspirants can refer the AIIMS Jodhpur, Rajasthan Office Assistant Syllabus & Exam Pattern 2017 once before going to begin the preparation. Then, you will get an idea about the test pattern, subjects and so on. So that you will get perfect plan for the All India Institute of Medical Sciences Exam preparation after practicing our sample question papers. After the planning, you will download the AIIMS Jodhpur, Rajasthan Office Assistant Model papers from the enclosed links. Start preparation and spend more time on practicing with these All India Institute of Medical Sciences Previous Questions Papers PDF. AIIMS Jodhpur, Rajasthan Office Assistant Previous Papers are uploaded here to help the candidates who are appearing for the Office Assistant Exam. The Applicants who are about to start their preparation for the Office Assistant Exam can refer the AIIMS Jodhpur, Rajasthan Office Assistant Model papers. So, interested candidates can click on the direct links given below for downloading the All India Institute of Medical Sciences Office Assistant Practice Papers along with Solutions or Answer Keys. Download the AIIMS Jodhpur, Rajasthan Office Assistant Ten Years Previous Papers within few seconds for free of cost. You can download AIIMS Jodhpur, Rajasthan Question Papers form our website. Candidates who are going to write for the examination must searching All India Institute of Medical Sciences previous question papers. You are in right place. AIIMS Jodhpur, Rajasthan question papers are only model question papers. This sample question papers are for practice purpose only. We never assure you that you will get the same questions. The aspirants must practice AIIMS Jodhpur, Rajasthan Office Assistant Model Question Papers for getting qualify in the examination. By practicing a vast number of AIIMS Jodhpur, Rajasthan Office Assistant Sample Papers, your level of knowledge will be uplifted. Therefore, download AIIMS Jodhpur, Rajasthan Previous Question Papers from the below free downloading links. All these Model Question Papers are given in pdf format along with solutions. So, candidates have no need to search for the answers to the questions in AIIMS Jodhpur, Rajasthan Previous Papers and can download those papers within one click only. Practice the AIIMS Jodhpur, Rajasthan question papers. Along with practicing All India Institute of Medical Sciences Office Assistant Model Question Papers, candidates must study all the topics in the syllabus. Because applicants can know only the pattern of the questions asking in the examination. But they don’t get the same questions in the final exam. Hence, contenders must prepare all the topics in the Office Assistant Study Material. Individuals can refer the AIIMS Jodhpur, Rajasthan Office Assistant Syllabus and Exam Pattern in the below table. The AIIMS Jodhpur, Rajasthan has dispatched the advertisement for hiring aspirants to the available Office Assistant vacancies. Many contenders have sent applications to the AIIMS Jodhpur, Rajasthan. Now, they are busy in searching the AIIMS Jodhpur, Rajasthan Sample Question Papers. Hence to help the candidates, we gave the free downloading links of Last 10 years AIIMS Jodhpur, Rajasthan Previous Question Papers with Answers. The applicants should start the preparation for the All India Institute of Medical Sciences Written Exam as early as possible. Download the All India Institute of Medical Sciences Sample Question papers, Last 5 year question papers, of the AIIMS Jodhpur Office Assistant. On our website, we have also provided the preparation tips for the applicants. Therefore, the contenders can download the AIIMS Jodhpur Office Assistant previous papers from our website along with preparation tips. These Preparation tips will be very helpful for the candidates to solve the questions in a much less time. So, the candidates can answer the objective questions quickly. Interested candidates can Download the All India Institute of Medical Sciences Office Assistant previous papers and make use of them. Applicants can download the AIIMS Jodhpur Old Solved Question Papers from the below attached PDFs. The All India Institute of Medical Sciences Exam Solved Question Papers will help the applicants for best preparation. You can also find the solutions for the AIIMS Jodhpur Office Assistant Model Papers. So, the people can start the practice by checking the AIIMS Jodhpur Office Assistant Solved Papers. The All India Institute of Medical Sciences Office Assistant Practice Papers may not contain the originally asked questions. Hence Aspirants can use AIIMS Jodhpur Office Assistant Exam Past Papers as a reference only.